Welcome to Pardis for Children, Inc.
We’ve chosen the name Pardis, which means “paradise” in Persian, in the hopes of creating a Pardis for our children: a space that is filled with love, learning and friendship. Our main goal is that our children learn about the Persian culture and language, associate it with positive notions, develop friendships with their Iranian peers, and build a strong community of next generation Iranian Americans. In bringing the children together, we also hope to create a space for parents to meet, interact, and build a social network and support system for one another. In addition to regular classes, we offer various workshops for children (and adults) every semester. For more information on Pardis classes and workshops, go to Classes and Schedule. Pardis also collaborates with museums and other cultural institutions such as the Metropolitan Museum of Art and the Asia Society to schedule regular social and cultural events, tours, screenings and workshops for children and their families. These events are open to public. For information on events, check out the Events page. We are also developing original content including Music CD, Audiobooks, Flashcards and Storybooks. Please go to Product Page for more information. To see photos, videos and media coverage go to Take a Peek! Pardis for Children belongs to the community and we welcome and encourage everyone to come and visit us, get involved with the organization, and help us create a better Pardis for our children! If you haven’t been to our Pardis, we hope you visit us soon! 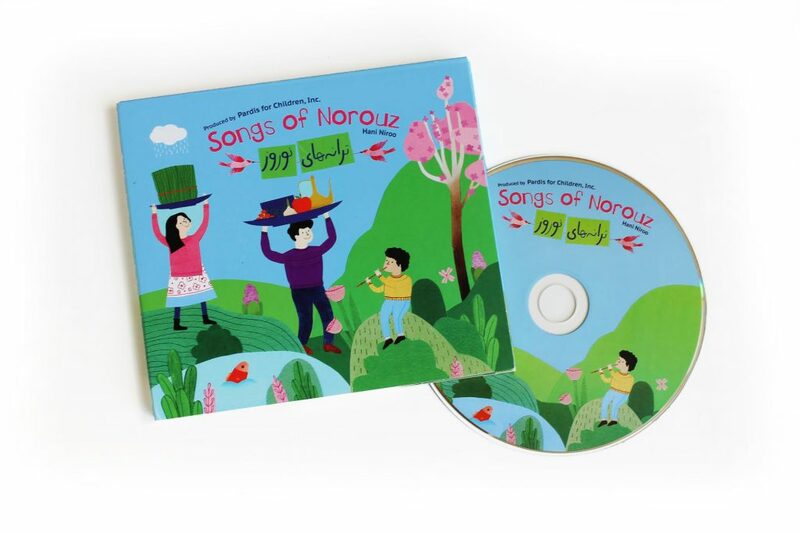 Check out our newly released Music Album, SONGS OF NOROUZ! The album is available for download and purchase from ITUNES or AMAZON and cdbaby (physical copy)! If you’re interested in joining the group, please click Join. You can also contact us by filling out the form on our Contact Page. Pardis for Children, Inc. is a 501[c] non-profit organization, tax ID 35-2417827.